AUSTRALIA & CAYMAN ISLANDS— The TechCrunch Disrupt Cup award-winning team behind the music collaboration app Cre8tor.app, formerly known as RecordGram, will utilize the CopyrightBank platform to register originally produced beats and songs on the NEM blockchain. 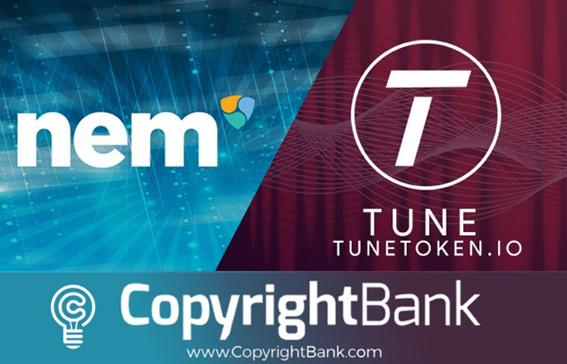 Grammy Award winner and co-founder of Tune Token, DJ BlackOut, registered his first song via CopyrightBank on the NEM Blockchain to initiate the partnership right after conversations took place at Consensus 2018 in New York City, one the world’s largest blockchain technology summits. Cre8tor.app, formerly know as RecordGram, with their blockchain-based ecosystem, Tune Token, will be accepting NEM for their token sale and will be exploring incorporating NEM’s technology to power its platform. Cre8tor.app is a mobile recording studio, producer marketplace and social network that allows users to create original songs cost effectively which they can share across social platforms instantly turning their friends into fans. Tune is a software development company primarily focused on creating blockchain based technology, smart contract design and digital tokenized applications. Tune’s primary mission is to solve digital songwriter rights and royalty transparency issues for the music industry.